McDonald’s Shamrock Shake Review for all seasonal Shamrock shakes: classic Shamrock Shake, Shamrock Chocolate Chip Frappe and Chocolate Shamrock Shake. 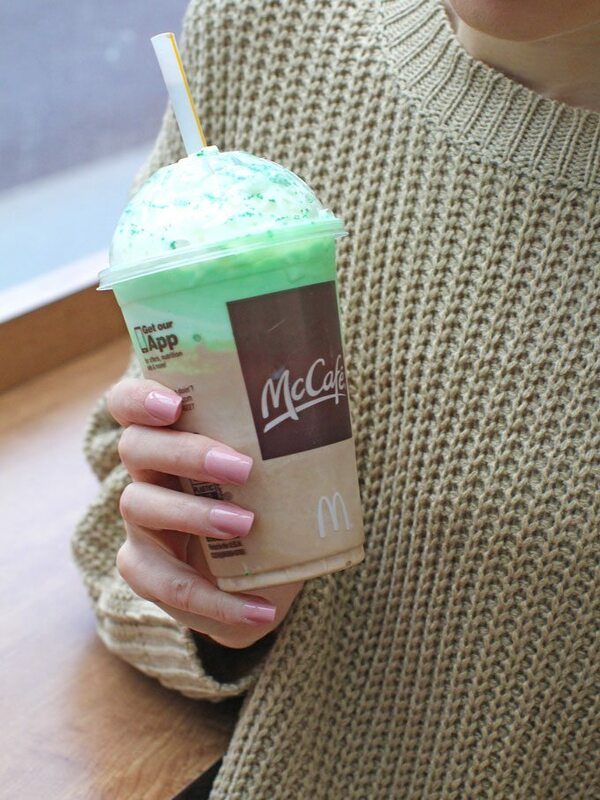 Hey guys, so finally it is McDonald’s Shamrock Shake Season, I am so excited that I can get my hands on my beloved minty, green shake. I am here for you today with a McDonald’s Shamrock Shake Review so you can see how good it is! 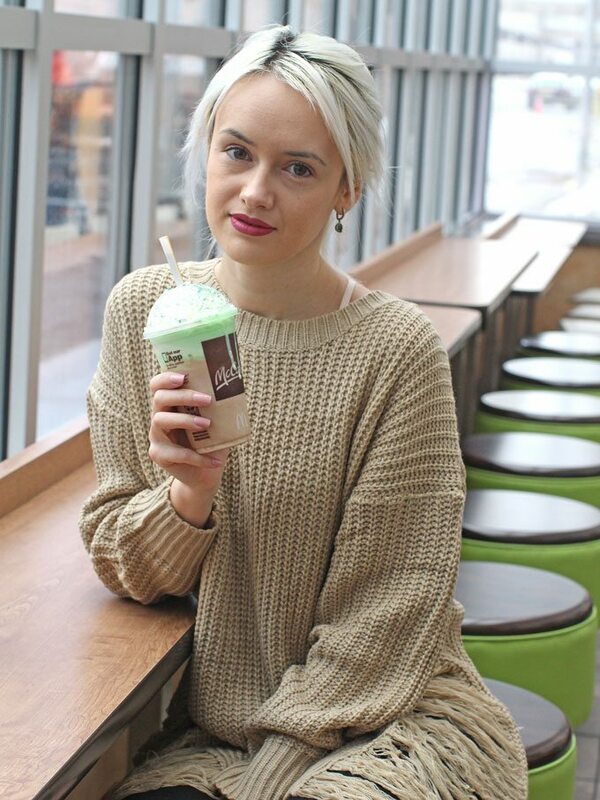 I have stopped by McDonald’s over the weekend and tasted all their Shamrock Shakes and to my delight they added a chocolaty version! Mint and chocolate flavor were meant to be together! 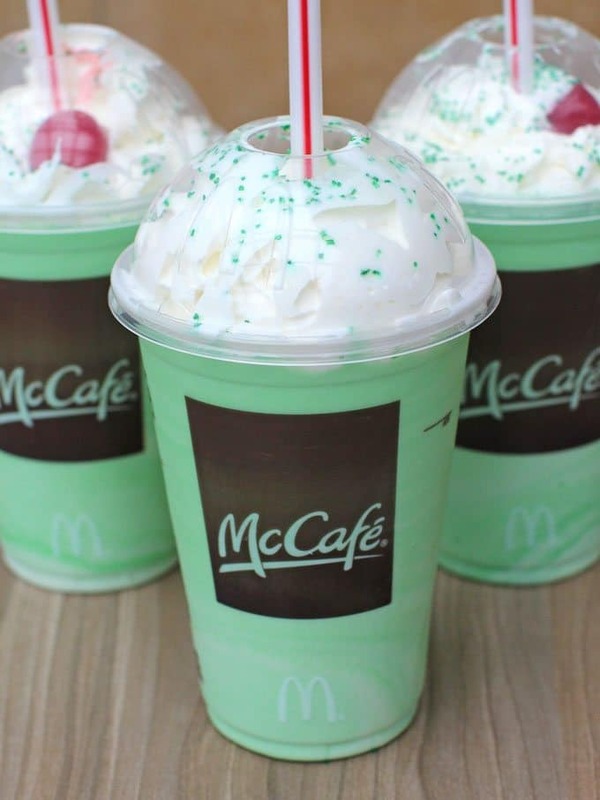 Ok, so let’s get to the McDonald’s Shamrock Shake Review: McDonald’s Shamrock Shake is a seasonal St. Patty’s Day themed shake available during Shamrock season, which is February 7th – March 21st. It is a delicious combo of vanilla ice cream blended with mint flavored syrup. The shake is topped with whipped topping and a maraschino cherry. 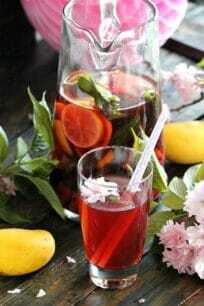 I love the thick consistency, the sweet taste and the refreshing mint flavor. The sweet maraschino cherry delivers the perfect sweet finish. Also, that green color is absolutely gorgeous! 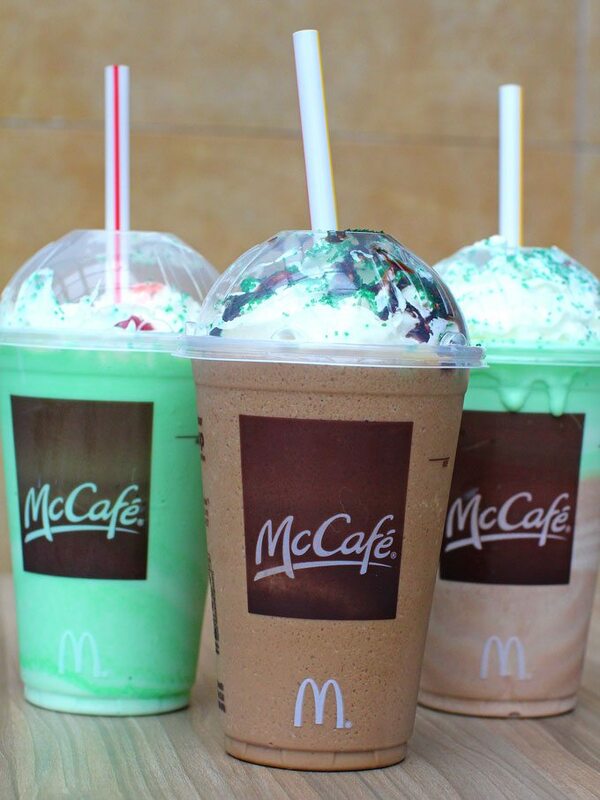 Now, I am very excited, because this season McDonald’s introduced the Shamrock Chocolate Chip Frappe. It is super chocolaty and at the same time refreshing, from all that mint flavor! If you like chocolate flavor and mint, you will love this shake! Made with an indulgent blend of chocolate chips and a hint of coffee. Then topped with whipped topping and drizzled with chocolate. Continuing with my McDonald’s Shamrock Shake Review I want to introduce to a new favorite of mine: the Chocolate Shamrock Shake! 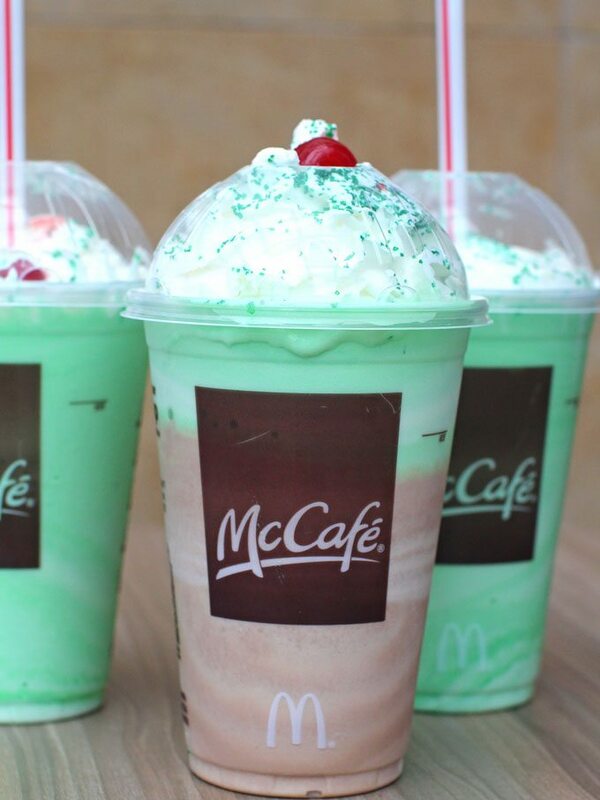 The Chocolate Shamrock Shake combines a chocolaty shake that is topped with the classic Shamrock Shake. It is finished with whipped topping and a maraschino cherry. The shake is sweet, thick and delivers that original coolness from the mint flavor. It tastes refreshing, with a delicious chocolaty hint. Best way to drink it is to use your straw to blend the chocolate flavor and mint flavor together so you can taste both at the same time! 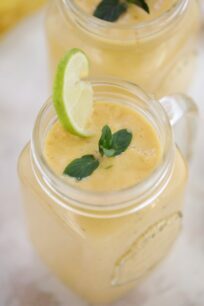 This layered drink, with a creamy texture and refreshing taste is a seasonal must try! I tried them all, now it’s your turn to tell me your favorite! 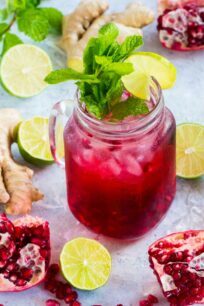 I need one of these, they look delicious!